As any Southern cook will affirm, there is more than one way to enjoy homemade Grits. Yet, we have found that we like them best when they are tossed with delicate spices and a generous helping of Shea Butter to cook up our delicious Grits Scrub. Together, the grittiness of the Grits (hence their name) and the silky texture of the Shea Butter marry well to render a sustainable body scrub that is simply unmatched. This scrub typifies the benefits of using edible ingredients to create a green spa product that is equally kind to our skin and the environment. Our earthy Grits Scrub is as planet-friendly as it gets! Made from organic Grits, Shea Butter, Hemp Oil, Vitamin A, Ester, Vitamin E, Echinacea, Goldenseal and finely crushed Calendula – this scrub exfoliates the skin to a gorgeous glow and is a skin purist’s dream. This earthy scrub is served in a recyclable 16 oz. jar. A gratis 8 oz. jar of our Calendula Spa Butter is included. Our Cinnamon Grits Scrub announces the beginning of butter soft skin. Made from organic Grits, Shea Butter, organic White Cinnamon (Canella) Powder, Cinnamon Essential Oil, Hemp Oil, Vitamin A, Ester, Vitamin E, Echinacea, Goldenseal and splash of Mandarin, its beautiful scent will woo you. This earthy scrub is served in a recyclable 16 oz. jar. A gratis 8 oz. jar of our Cinnamon Spa Butter is included. 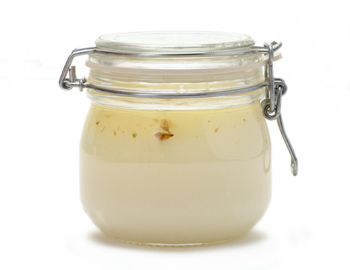 Our Ginger Grits Scrub is the perfect vessel for well cared for skin. Ginger is deeply cleansing and healing, while the Grits sweep dead cells from your body temple. Made from organic Grits, Shea Butter, organic Ginger Extract, Vitamin A, Ester, Vitamin E, Echinacea and Goldenseal -- this is for Ginger lover’s who adore the pure scent of Ginger, fresh from Mother Nature’s cupboard. This earthy scrub is served in a recyclable 16 oz. jar. A gratis 8 oz. jar of our Ginger Spa Butter is included.